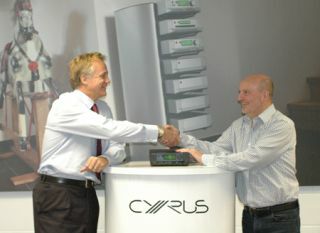 Cyrus Audio announces new MD and investment plan | What Hi-Fi? Cyrus Audio has appointed a new managing director, Simon Freethy (above left), with former MD Peter Bartlett (right) focusing on product development in his new role as Technical Director. At the same time Cyrus gets an injection of new equity to help fund future product development. Freethy, who has been Cyrus's part-time finance director since 2004, has a wealth of business experience from being on the boards of various other companies. He will use that to drive the company's future growth. He says: "I'm relishing the opportunity to become more involved in a brand I have had the privilege to be associated with for the last few years." Bartlett, who has been the driving force behind the Cyrus brand over the last 15 years, will manage Cyrus's engineering team and concentrate on developing "an exciting new product line-up". He adds: "I feel this is a perfect time for me to refocus my efforts on the elements of the business I enjoy most: developing and tuning our products."